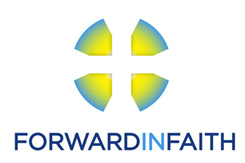 Dr Colin Podmore has been the Director of Forward in Faith and Secretary of the Council of Bishops of The Society since April 2013. Colin Podmore is a Cornishman who read history at Keble College, Oxford, and trained as a teacher at Selwyn College, Cambridge. He taught German at S. Michael’s CE High School, Chorley (Lancashire) before returning to Oxford to undertake research in church history. His DPhil thesis was published as The Moravian Church in England, 1728-1760 (Oxford, 1998). He is a Fellow of the Royal Historical Society. Colin served on the staff of the General Synod of the Church of England from 1988 to 2013 in a variety of roles, including those of Secretary of the Liturgical Commission, Secretary of the Dioceses Commission, and finally Clerk to the Synod, Director of the Central Secretariat and Director of Ecumenical Relations. His publications include Aspects of Anglican Identity (London: Church House Publishing, 2005) and articles on Anglican ecclesiology, the ecclesiology of The Episcopal Church and the development of the Anglican Communion. He is a parish clerk in the parish of St Magnus the Martyr, London Bridge and serves on the Parochial Church Council of All Saints', Margaret Street. He is the Chairman of the trustees of the Cleaver Ordination Candidates Fund.